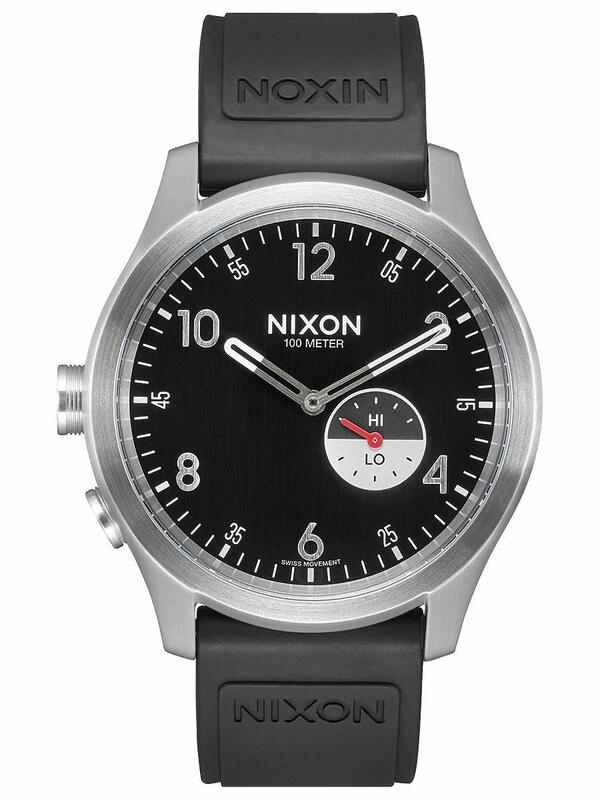 Watch Movement: Nixon custom swiss made quartz 3 hand with analog tide subdial and a 9 o'clock crown and 8 o'clock pusher. Watch Dial: The dial features printed hours, minutes and seconds track with a printed hi-lo tide subdial. 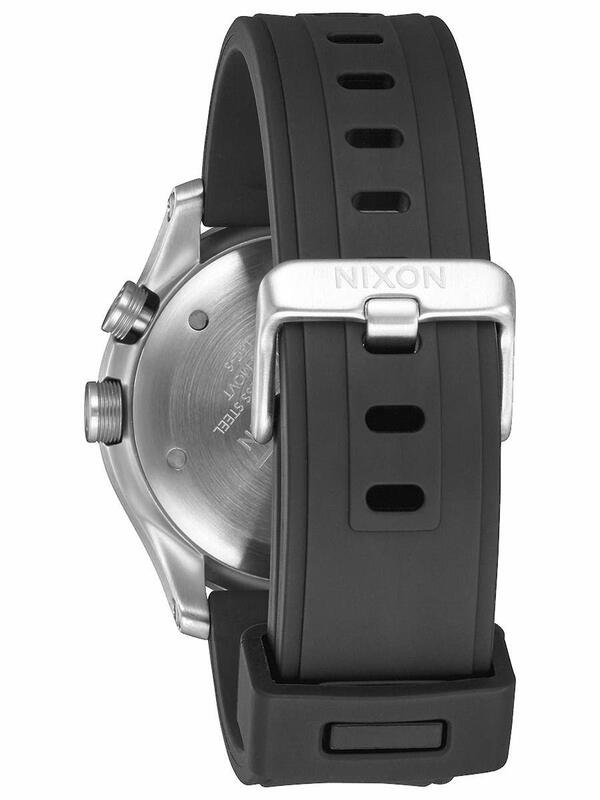 Watch Case: 41mm, 100 meter/10 ATM custom stainless steel case with domed hardened mineral crystal, screw bar lugs, triple gasket crown, and stainless steel screw down caseback. 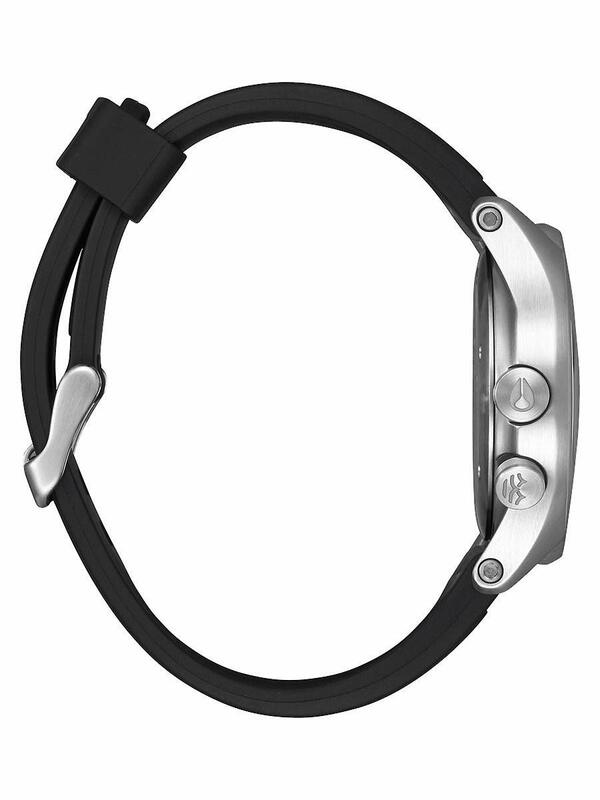 Watch Band: 20mm tapered solid stainless steel band with locking buckle. Water Rating: 100 METER / 10 ATM. 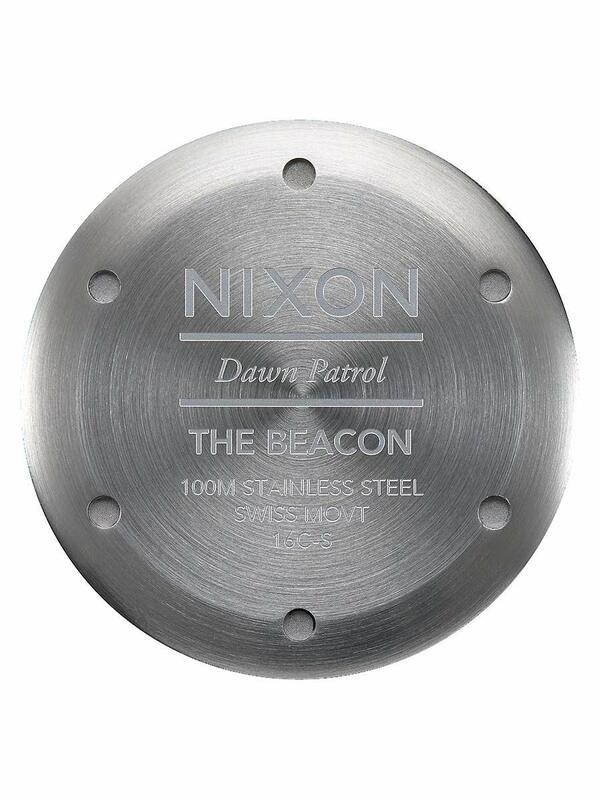 Warranty: Nixon offers a limited warranty of defects in materials and workmanship for a period of two (2) years after original purchase.